Many British funeral traditions and customs that are still alive and thriving today date back to the Victorian era. It was at this time that society developed strict codes of conduct in regards to how a person should be mourned and how their life should be celebrated. In this article we will provide a guide to some of the funeral traditions and customs that are still alive and thriving in the UK today. In the UK it is still customary to wear black or dark clothing to funerals unless the family organizing the funeral have specified otherwise. In the UK it is customary for individuals to announce the death of their loved ones (known as an obituary notice) in a national or local newspaper. Alongside the announcement, they usually include the funeral details. This gives distant friends and relatives the chance to make arrangements to attend the funeral or send flowers. Most funerals are open to the public in the UK, unless the family has requested a private, intimate funeral with immediate friends and family only. In the UK it is traditional to wear black, smart clothing to a funeral. Men often choose to wear suits. Black has long been the colour associated with mourning, as it has connotations of being respectful. If you have not been told otherwise, it is advised that you choose a predominantly black coloured outfit for the funeral you are attending. Today some people ask funeral guests to dress in colours other than black. This is often the case with children’s funerals, where their parents will ask guests to dress in their child’s favourite colour. If this is asked of you, it is important to fulfil the request as a mark of respect. The traditional funeral procession is still popular in the UK today. The procession is lead by the hearse, containing the coffin and the funeral flowers. It is usually followed by the car or limousine driving immediate family of the deceased. Although there are no special rights of way for funeral processions in the UK, many funeral directors create markers and flags in attempt to alert other motorists and keep the procession together. Traditionally the funeral director would lead the cortege on foot. This ritual was called ‘paging away.’ Although this is less commonly seen today, some individuals still choose to include the ritual as part of the funeral procession, however the pager (funeral director) only tends to walk a short distance before getting into the hearse. It is believed this tradition dates back to the times when horses and carriages were the predominate method of transport. Walking in front of the hearse slowly allowed neighbours and passersby to stop and pay their respects. In the UK white lilies are the most popular and traditional funeral flower. Though carnations and roses are also fairly traditional choices. Funeral flowers play an important role in British funerals, providing beauty and comfort at a time of sadness. Many people also believe that flowers symbolise the continuation of life. Although many people choose funeral flowers based on the favourite flower of their loved ones, others choose flowers based on their connotations and meaning. 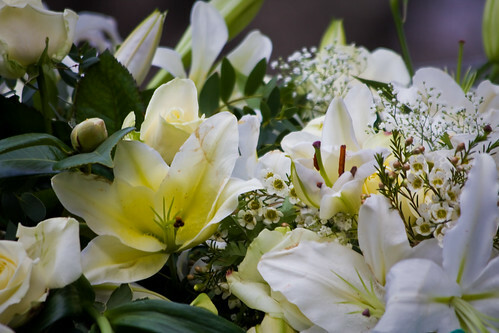 In the UK, the flower that is most commonly associated with funeral services is the lily. White lilies are often believed to be a symbol of the innocence that has been restored to the soul of the deceased. They also symbolise sympathy and purity. Another popular type of funeral flower is the carnation. These are available in various different colours, each which have their own meanings. Red carnations stand for admiration; pink carnations for remembrance and white carnations stand for love and innocence. In the UK, the deceased can either be cremated or buried. During a burial service it is customary to throw soil onto the coffin as it is lowered into the ground. Sometimes this ritual is carried out by the funeral director, however family members often perform this ritual instead. As well as throwing soil onto the coffin, family members often throw things like flowers and personal items onto the coffin. This ritual is carried out as a symbol of love and remembrance. 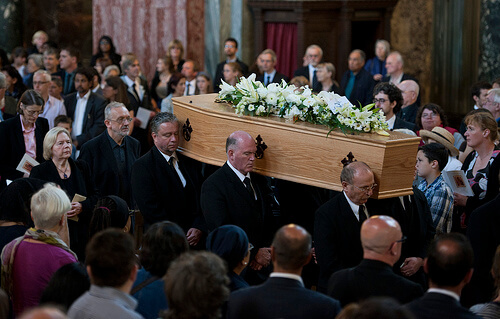 It is customary to hold a wake after a funeral has taken place in the UK. This event is kind of like a small party and is designed to celebrate the life of the deceased. The wake is usually hosted at the house of the deceased’s immediate family, though it can also be hosted at a local pub or hotel. You will usually find that there is plenty of food and drink available for you to help yourself to. Something that often ends up happening at wakes in Britain is the telling of old stories. Family members and friends of the person that died usually share fond memories of their loved one. Although wakes are a sad occasion, they provide a chance for families to reunite and remember the good times. Despite the fact that funerals are undergoing a fundamental change, with many people viewing them as a celebration of a person’s life, rather than the mourning of their death, many British traditions and customs are still alive and well. 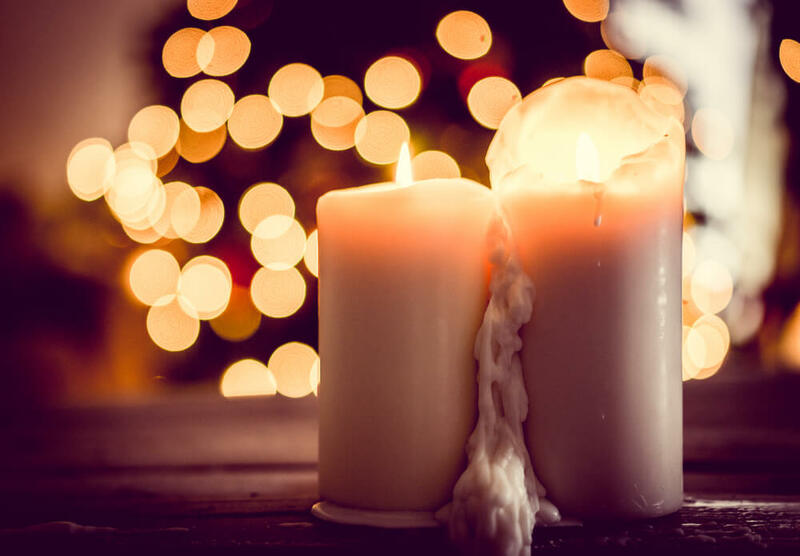 Today many individuals choose to combine UK funeral traditions with contemporary elements to create a personalised service that they believe their loved one would have been proud of. What are the advantages of buying a pre-paid funeral plan?